Ever thought about learning First Aid so you’d know what to do in an emergency? That’s the way we view Self Defence. 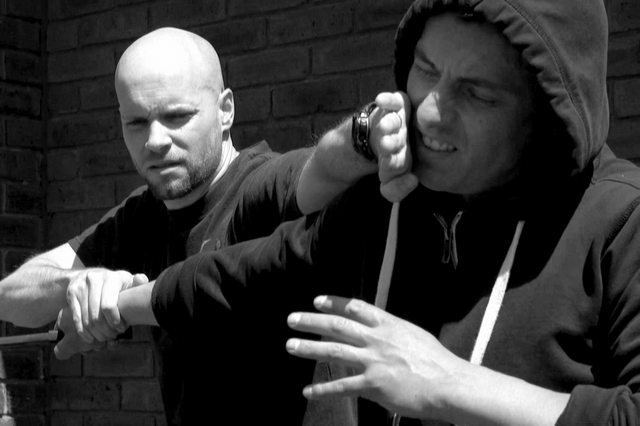 Our new Self Defence Course is coming to Crowborough this Autumn and is designed to give you what you need to face the threat of violent crime. We teach the Tactical Edge system founded by Mark Davies, which uses simple but effective techniques that work whilst under extreme pressure. Unlike some Reality Based Self Defence classes, everything we teach has been tried and tested in real situations. We start examining the most common forms of attack from your very first class and teach you how to deal with them, building your confidence, awareness and skill. Unfortunately many violent crimes involve weapons, therefore we always assume an assailant is carrying one so we are never caught out. We teach the correct handling and use of the knife, baton and various improvised weapons to address this problem. The best part? No previous martial arts experience is required! We now live in a society where violent crime is common with an alarming number of incidents involving weapons. Our syllabus is designed specifically to deal with this, build confidence and develop the ability to take decisive action, whilst understanding the criminal mindset of the predator. We will also be running specific ladies self defence courses regularly throughout the year. Classes are taught by Tactical Edge Instructor Mr Matt Winter. We have a workshop on Saturday 10th February from 10am-1pm with Tactical Edge Instructor Matt Winter. The cost for the workshop is just £25 and you will have the opportunity to learn some simple and effective techniques to keep your safe and feel confident when you go out.